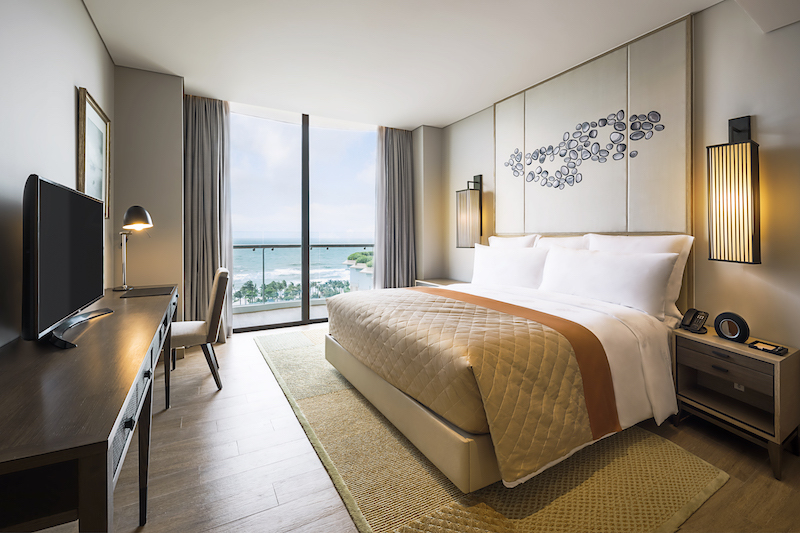 The new InterContinental® Phu Quoc Long Beach Resort in Vietnam is delighted to announce that the resort’s Sky Tower, which offers some of spacious and luxurious accommodation in Phu Quoc, is now accepting reservations from September 2018. The Sky Tower is a spectacular addition to the skyline of the island’s popular Long Beach. Located in the centre of the resort’s complex, it is home to one-, two- and three-bedroom suites, along with the striking INK 360 sky bar at its summit. 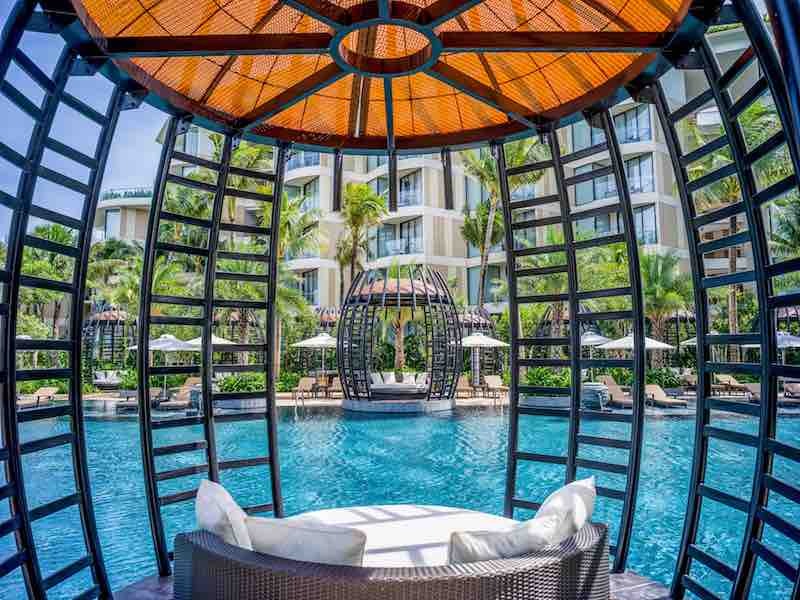 The Sky Tower features premium accommodation on offer at InterContinental® Phu Quoc Long Beach Resort, making it ideal for luxury travelers – families and groups. Ranging from 64 to 179 square metres, each suite features one, two or three bedrooms, a living room, large balcony, kitchen, and a combination of contemporary and locally inspired décor, making it ideal for those seeking luxury apartment living whilst in Phu Quoc. Guests can choose to stay in one of the Sky Tower’s Pearl Suites or experience the elevated service at Club InterContinental with a stay in one of the Club InterContinental Tower Suites, or at the highest levels of the Sky Tower, at an Emerald Collection Suite, the latter of which also offers breakfast, lunch, dinner and a complimentary spa treatment each day throughout the stay. A private haven of unprecedented luxury for seasoned travelers, a stay at Club InterContinental accommodation includes access to the Club InterContinental Lounge with an exclusive swimming pool and daily breakfast, afternoon tea and evening cocktails and canapés. The views from the Sky Tower are unparalleled, with gorgeous vistas spanning across verdant mountains or the sparkling ocean. When arriving at the reception and lounge, Sky Tower guests are greeted with a traditional welcome drink inspired by the local sim wine. All guests in the Sky Tower can enjoy exclusive access to the Pearl Lounge throughout their stay, a sanctuary of calm and an ideal venue to enjoy relaxed conversation, exquisite dining and breathtaking ocean views. 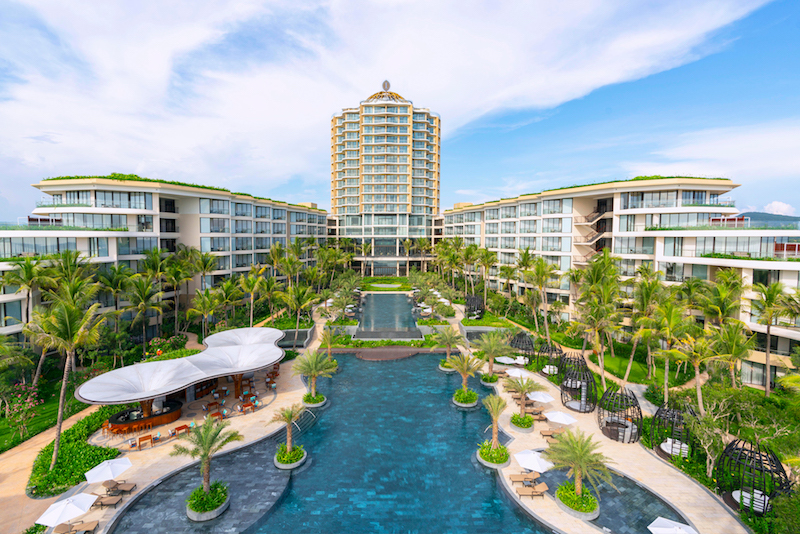 Designed by Australian Ashley Sutton, the rooftop level of the Sky Tower is home to InterContinental® Phu Quoc Long Beach Resort’s sky bar, INK 360. It is the highest bar on the island, offering blissful sunset views unmatched by any other venue, an extensive champagne list, house-made infused spirits and liqueurs, and mixology demonstrations. Also, the dining menu features world-wide cuisine, caviar, and oysters, creating a luxuriously exclusive ambience for guests. Located on the largest island in South Vietnam, Phu Quoc is a tropical island destination that is as unique as it is beautiful. Listed by UNESCO as World Biosphere Reserve in 2006, the island of Phu Quoc itself is covered with at least 50% of National Park, and is home to world famous pearl farms, as well as thriving marine life and rich coral reefs of the surrounding turquoise sea that are sure to make any family stay at InterContinental® Phu Quoc Long Beach Resort one that is truly memorable. 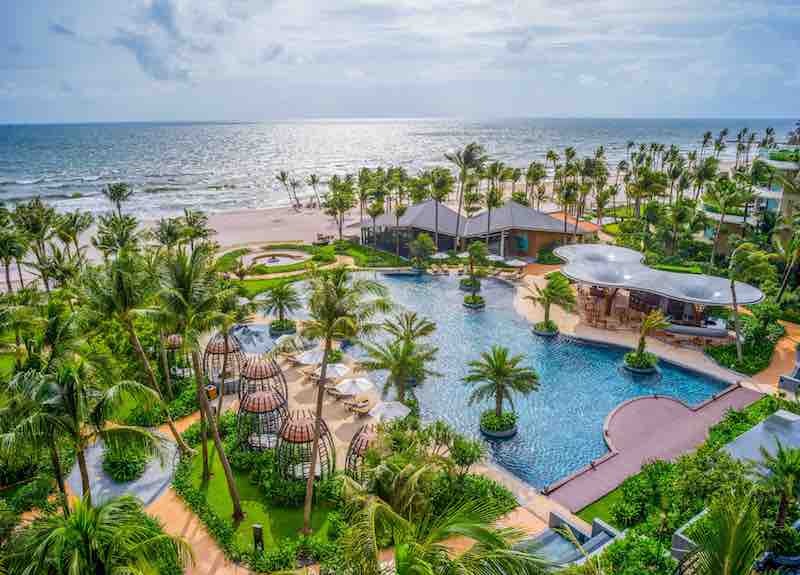 The resort itself sits along the tail end of Long Beach, a mere 15 minutes’ drive from the international airport and 20 minutes from the island’s main town of Duong Dong. This spot along the 20 kilometre stretch of beach is the perfect place for families to experience the picturesque tropical beaches and pristine waters of Phu Quoc, as well as the cultural charm of nearby towns and magnificent ocean sunsets. For more information and reservations, please contact +84 919 290 742, or email sales@icphuquoc.com.